In late-March, 2018, we are launching a new Microsoft Teams & Skype for Business admin center experience. The new admin center will give you a single location to manage Microsoft Teams and Skype for Business going forward and this change is the first step to achieve this goal. This change will also deliver additional functionality, end-to-end insights, and the ability to manage Teams settings on a user level. This message is associated with Office 365 Roadmap IDs: 24189 and 26982. This feature is only available to members of your organization that have been granted administrator-level permissions. We will begin gradually migrating settings to the new experience to select organizations on March 19, 2018. On March 31, 2018, we will continue the rollout to all Office 365 organizations. In the coming months, we’ll continue to further improve the new admin center to give you a centralized location for you to access all of your administrative needs by migrating other functionality and features Once we begin the migration, the Skype and Teams settings in the Office 365 admin center and Skype for Business admin center will be disabled, and we will display a message with a link pointing you to the new Microsoft Teams & Skype for Business admin center. There’s nothing you need to do to prepare for this change. 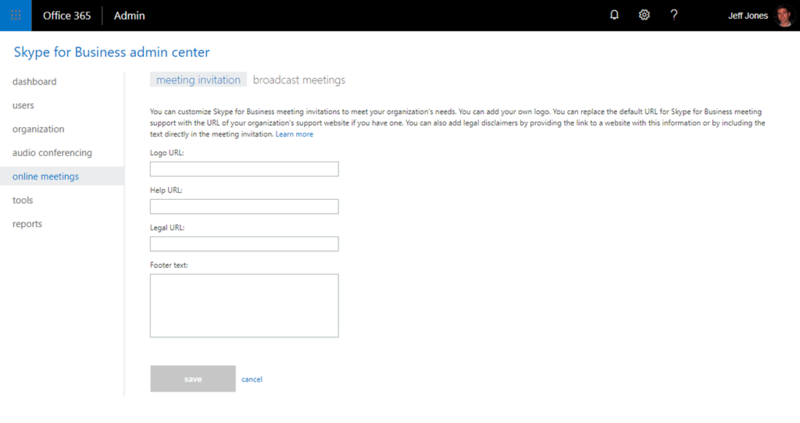 Please click Additional Information below to learn more about the new Skype for Business and Microsoft Teams admin center.